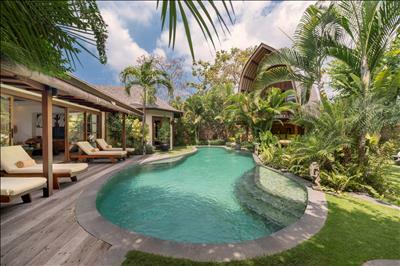 This majestic 3-bedroom, 2-storey villa in the style of a traditional Balinese beach house, features a spacious, luxurious and light-filled living room facing the pool and lush, tropical gardens. Bright, breezy and elegant, Villa 3 has a large sunny pool, great for kids games and catching rays. It has a rustic balé blessed with an antique Javanese framed mirror as a backdrop, reflecting the sunlight from the water. This home is ideal for a family or a group of friends and the layout is perfect for hosting our chef-prepared in-villa BBQs and dinner. The open plan living room features a large, polished wood dining table with seating for eight plus extensive seating. Guests can escape upstairs to an open-air balcony with large day-beds, upholstered in subtle, natural fabrics and which offers fabulous views over Seminyak. It leads into a completely private, large double bedroom and en-suite bathroom. 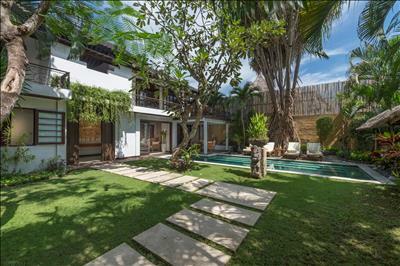 Villa 3 is tastefully styled with unique and authentic handpicked Indonesian antiquities; guests are often inspired to shop on Seminyak’s nearby Antique Street to replicate Villa Kubu’s original Balinese design. We have had a wonderful time as always staying with you, all at Villa Kubu. We have had a wonderful time as always staying with you, all at Villa Kubu. Look forward to seeing you again soon. Love from BOB and KERRY DAWSON!!!!!!! 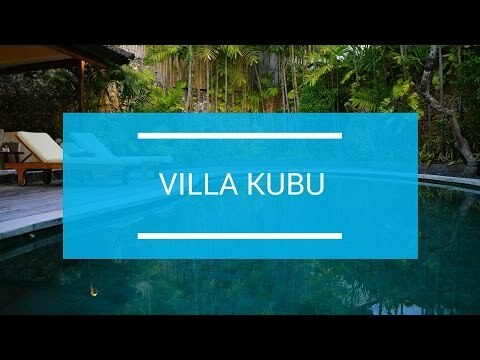 Thank you villa Kubu for your amazing service and amazing villa. Thank you for fabulous holiday.